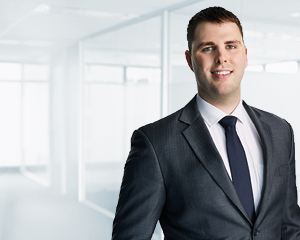 Based in Sydney, but supporting both Brisbane and Sydney clients, Matthew Shanahan specialises in self managed super fund accounting, administration and taxation, and helping clients establish and administer a compliant SMSF. Matthew manages a team that proactively and efficiently handles the daily accounting, administration and compliance requirements of his clients’ SMSFs. He completes financial statements and tax returns for his clients, and organises the independent audit at the end of the financial year, ensuring the work is of the highest standard and accurate. Matthew maintains personal contact with his clients to ensure they are well informed and have their questions answered promptly. According to Matthew, “Dixon Advisory’s clients benefit from having a professional team of accountants take care of the day-to-day administration and compliance of their self managed superannuation fund, allowing them to focus on enjoying their retirement. Matthew has a Masters of Commerce from the University of Sydney majoring in Accounting and is a member of Chartered Accountants Australia and New Zealand.